God in the details: cognitive elevation of indomitable progressive spirits. 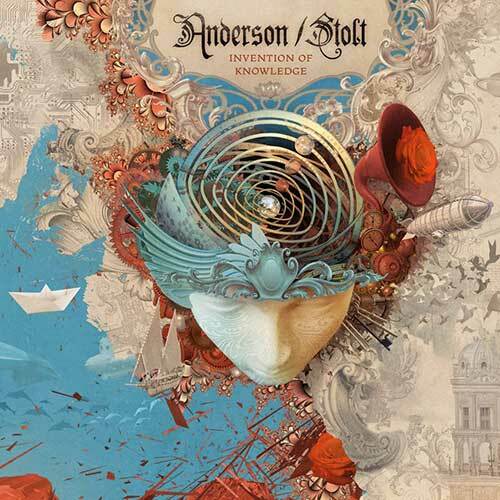 As far as concept albums go, Jon Anderson and Roine Stolt are unrivalled in embroidering big ideas with little things which make it all spectacularly special, yet there’s no limit to their cultural depth. So while it’s easy to perceive the veterans’ joint effort as a tangle of YES and THE FLOWER KING methods – with a younger art-rock avatar praying at the altar of an elder statesman – these four epics, broken down into smaller sections, don’t spin the revealing science philosophy, opting instead for the bridge between intellectual and emotional urges of a human mind. That’s why, even though “We Are Truth” feels more resolute than “Stardust We Are” or “Nous Sommes Du Soleil” did, the grandiosity of it all is very lucid. Drifting in on a shimmer, “Invention” washes around Jon’s vocals with joyful bells, piano jingle and strings waves whence Roine’s guitar is shooting solemn rays of life, but the celebratory dance soon turns into a reflection on existence before “Knowledge” rocks the cradle of intelligence amidst fiery riffs and a lulling choir. Supported by additional voices, including Nad Sylvan‘s prominent one, Anderson has splintered his own into a myriad little mirrors that dance to Stolt’s slider roll into “Chase And Harmony,” its majestically toned-down drama taking on hymnal proportions along the way. If there’s pain in it, instrumental layers of “Everybody Heals” – no doubt a nod to “Everybody Hurts” – apply fusion balm to a psyche wounds, with Tom Brislin’s ivories spicing up the potion until insistent chants and glossy licks fade within the edifice of “Know…” to make the piece’s hidden carnival linger. As a result, here’s a perfect musical allegory to the joy of noospheric exploration – sometimes sounding familiar, perhaps, yet ultimately gratifying like the positive thinking itself is.